Content is king! At ithinkasia we provide co-production finance models for animated feature films and also create original content from script to screen. ithinkasia was commissioned by the 'Olympic Channel' to produce a children's documentary on Cambodian athlete Sorn Seavmey. 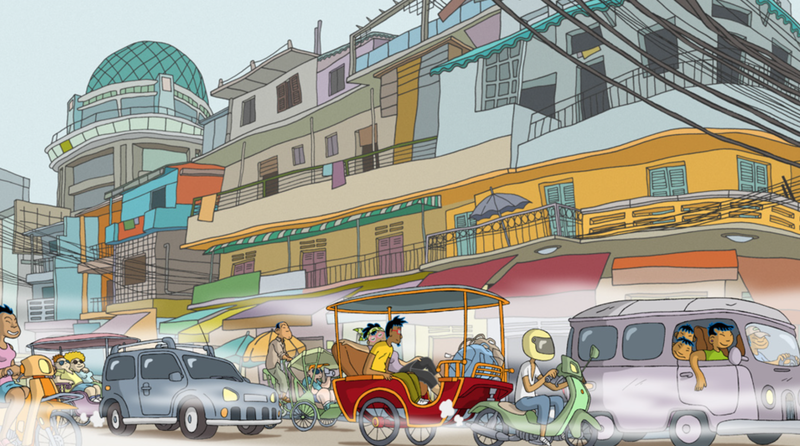 The episode was a mix of live action and 2D animation and was completed entirely in ithinkasia's Phnom Penh studio. Concept artwork for proposed pre-school series. Character Design for "Cambodia's Golden Girl" a half hour children's program commissioned by The Olympic Channel.